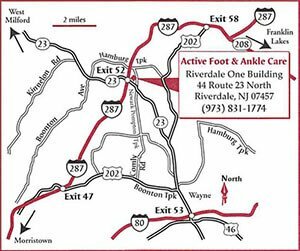 Dr. Richard Braver is Board Certified for both Foot Surgery & Reconstructive Rearfoot / Ankle Surgery with offices in Fairlawn and Riverdale, NJ; we are proud to serve the West Milford, Wayne, and Pequannock areas as well. His extensive training and expertise make him the best choice for performing your bunion or ankle surgery. 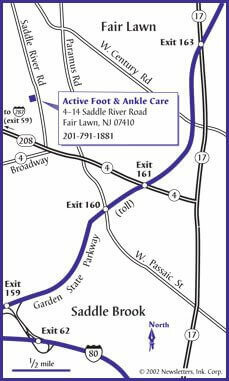 Dr. Braver also offers state of the art treatment for peripheral neuropathy and nerve pain. He has an impressive track record and comes highly recommended by his former and current patients. Why see Dr. Braver for virtually painless Bunion or Ankle Surgery? Dr. Richard Braver is Board Certified for both Foot Surgery & Reconstructive Rearfoot / Ankle Surgery. His extensive training and expertise make him the best choice for performing your bunion or ankle surgery. He has an impressive track record and comes highly recommended by his former and current patients.